Marine roads: Consequences of global shipping traffic for marine giants. A whale alarm fails to deter migrating humpback whales: an empirical test. Migrating humpback whales show no detectable response to whale alarms off Sydney, Australia. Pirotta V, Slip D, Jonsen ID, Peddemors VM, Cato DH, Ross G, Harcourt R (2016) Migrating humpback whales show no detectable response to whale alarms off Sydney, Australia. Endang Species Res 29:201-209. 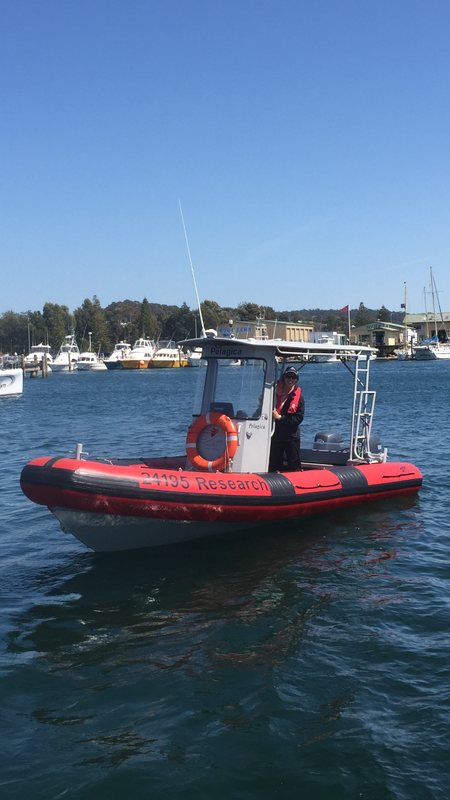 Coxswains NC1, Australian Maritime Safety Authority - Vanessa loves being out on the water. Vanessa is a strong supporter of Women in Science, Technology, Engineering and Mathematics (STEM). Some of Vanessa’s most inspiring role models have been female scientists. Want to know more about whale snot, Vanessa’s research and get updates about new episodes of The Breach? Sign up here!